This classic 8-day Machu Picchu Tour is ideal for travelers with limited time, touring various countries on their journey or needing to save a week’s vacation in order to visit family and friends. 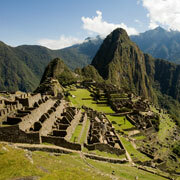 You will be able to tour the major highlights of Lima, Cusco, the Sacred Valley and Machu Picchu in just a week. As there are so many things to see in Peru, this is the tour to get the most bang for your buck in a short amount of time. 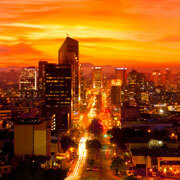 Get ready to explore Lima and all it has to offer! Our tour starts in the morning with a visit to the Historic Downtown area. First, you will stop off at the Main Square, where you will walk through its most important streets and observe its architectural monuments like the Cathedral and the Government Palace. Afterwards you will head to the San Francisco Convent and its renowned catacombs. Lunch will be at a traditional restaurant where you will enjoy classic Peruvian cuisine, as well as learn how to prepare a Pisco Sour, Peru´s signature drink. You will complete your tour of Lima with a visit to the Bohemian neighborhood of Barranco, a neighborhood called home by countless artists, photographers, and authors. Walk along beautiful streets lined with Republican houses, admire the splendid views, and visit the Puente de los Suspiros (Bridge of Sighs), the source of inspiration for one of Peru’s great composers, Chabuca Granda. At the scheduled departure time, you will be met by our representative at your hotel and escorted to the airport. Upon arrival to the City of Cusco, you will be welcomed by a Peruvian Sunrise representative, who will drive you along scenic roads to your hotel in the Sacred Valley of the Incas. For lunch, you will enjoy a traditional Peruvian – Andean cuisine at Tunupa Restaurant, conveniently located in a beautiful setting overlooking the Urubamba River. In the afternoon, you will continue on to visit Ollantaytambo, an old Inca fortified village where we will observe some of the best examples of Inca architecture in the region. Surviving structures here include multiple walls and towers that were used to protect the citadel from possible invasions. After a very early rise, you will board the train from the Ollantaytambo Station heading to Machu Picchu Pueblo (Aguas Calientes). This train journey is a spectacle in itself! You will be able to appreciate the Peru’s immense biodiversity, as you witness the landscape transition from Andean green fields to lush rainforest, descending alongside the Urubamba River. Upon arrival to the Aguas Calientes train station, you will take a 20 minute bus ride up to the spectacular site of Machu Picchu. You will explore this enigmatic sanctuary where your expert guide will lead you through the ruins, providing archaeological and historical information on key areas of interest, including The Temple of the Sun, the Intihuatana (the Sun Dial) and the Sacred Plaza. You will appreciate the most amazing views from the top of this citadel! This is an opportunity to revel in the energy and atmosphere of one of the most significant and spectacular archaeological sites of the world, set high in the cloud forest. You will also have the opportunity to see Llamas meandering around in their natural environment. After descending to Machu Picchu Pueblo, you will have some free time for lunch, and wander through this picturesque town. In the afternoon, you will board the return train to the Ollantaytambo Station, where one of our representatives will be waiting for you to take you back to your hotel in the Sacred Valley. 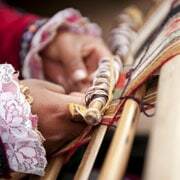 Today you will experience a full-day private guided excursion through the Sacred Valley on our way back to Cusco. First, you will visit the ruins of the Andean village of Chinchero, located high-up on the windswept plains of Anta (12,342.52 feet). You will find yourself surrounded by gorgeous views overlooking the Sacred Valley and the snow-capped peak of Salkantay dominating the western horizon. This excursion combines Incan ruins with a typical Andean village, a colonial church, some wonderful mountain landscapes, and a colorful traditional market. 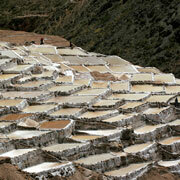 We continue on to visit the sites of Maras and Moray. En route, you will have one of the best panoramic views of the valley. First, we will stop at the ancient salt mines, near the town of Maras, then, the huge circular agricultural terraces at Moray built by the Incas in natural sinkholes on a limestone plateau overlooking the Urubamba Valley. 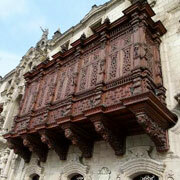 Afterward we will head to Cusco where you will spend the night. Today we will explore the amazing city of Cusco, which was the Capital of the Inca empire and one of the most historical cities in the Americas. In the morning, you will begin your tour visiting the Fortress of Sacsayhuamán, one the most important military and ceremonial centers in Incan times. 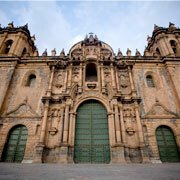 We will continue our tour strolling through the main square, where you will be able to explore the Cathedral and admire its exquisite vestibules and priceless paintings from the Cusco School of the 17th and 18th centuries. Just a few blocks away, you will explore one of Cusco’s most impressive buildings, Qoricancha or Temple of the Sun, whose interior walls were said to have been covered in gold. As you return to the lower part of the city, you will stop off at the San Pedro Market, where you will be mesmerized by the variety of unique and traditional produce and discover new aromas and tastes of the region. 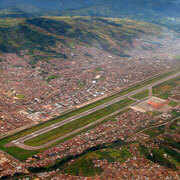 At a set time our representative will accompany you to the airport to take our flight back to Lima and connect with your international flight home. Hotel accommodations for 6 nights with breakfast, as described in the itinerary.